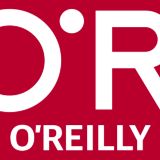 O'Reilly Media spreads the knowledge of innovators through its books, video training, webcasts, events, and research. Microservices, have you met… DevOps? For hardware startups, technology enables scale. The first time you actually sit in the hot seat.